It is the policy of the National Society of Professional Engineers (NSPE) that members be recognized for years of service to NSPE and the profession, by the granting of a reduced amount for national dues. 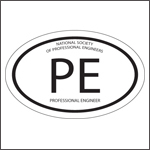 A member shall become eligible for life-member dues status if the person has been a continuous member of NSPE for a period of 40 years and is at least 65 years of age. A member shall be eligible for retired-member status if the person has been a continuous member of NSPE for a period of 25 years, is at least 65 years of age, and has retired from active practice. For these purposes, "active practice" shall mean providing engineering consultation totaling more than 300 hours in a given calendar year. A member must apply for status as a life or retired member by written request to the executive director of NSPE, or their designee. Age and years of service will be confirmed by NSPE prior to granting life or retired dues status. Members who wish to be granted retired member status are entrusted to honor the provision concerning active service as stated above. The granting of life or retired-member status shall affect the member's national dues only. State societies and chapters may choose to provide reduced dues programs at their discretion, but are not required to conform to the national program. Conversely, NSPE is not required to conform to any reduced dues program provided by a state society or chapter. A member granted life-member status shall receive a waiver of national dues. Life members will be encouraged to make a voluntary tax-deductible contribution to the NSPE Education Foundation. A member granted retired-member status shall receive a waiver of one-half of national dues annually.